What’s up in higher ed this week? Karine Joly has published a weekly email newsletter (on Wednesday mornings) since December 2008. 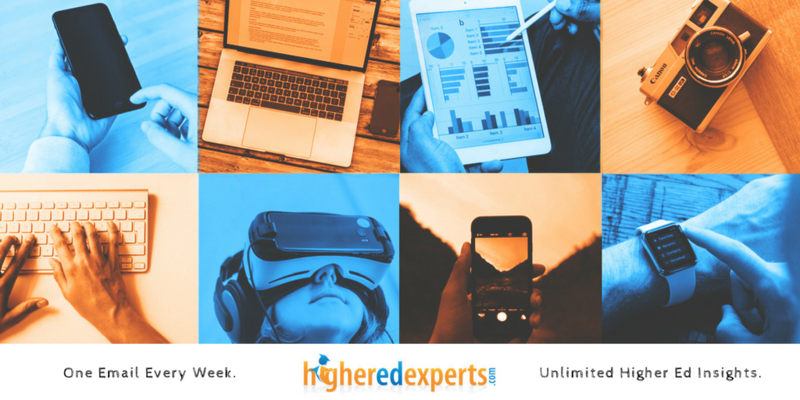 Check out this week’s selection of articles, blog posts and news stories, carefully curated to help higher ed digital professionals like you keep up with what matters! What’s in the 2019 #HigherEd Analytics Conference for you? Find out with #HEA19 Preview Day! Happy 15th Birthday Facebook [VIDEO]! Don’t miss the next issue of Karine’s Weekly Newsletter, Subscribe! There’s also more than links in the Email version of Karine’s newsletter: new jobs, top conferences, events as well as movers and shakers in higher ed. So, subscribe to get everything in your inbox on Wednesdays.